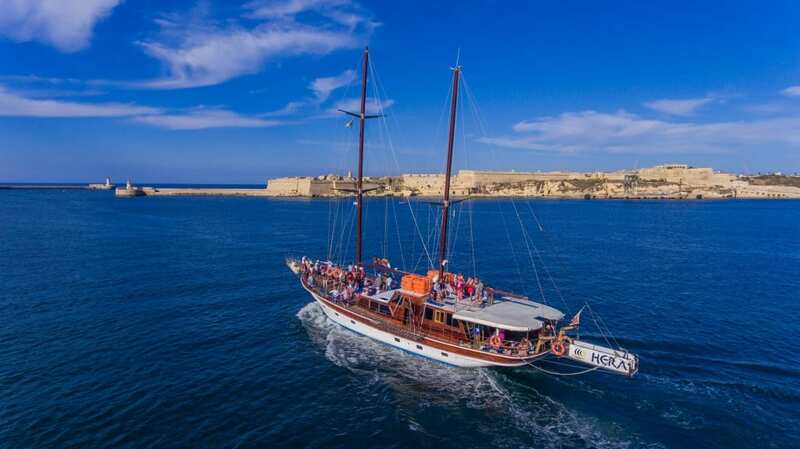 Hera Cruises offers a variety of boat excursions, trips and cruises, which include the Hera Exclusive Round Malta Cruise, Hera 3 Bay Cruise and Harbour Cruises amongst others. Hera yacht is also available for exclusive charters and are mainly used for combining business with pleasure, including special events, cocktail parties, staff parties, incentives, engagements, weddings, presentations or product launches. Creating Quality Events at Sea is our passion. It is an intrinsic sense of quality customer service combined with the natural beauty of the Maltese coast and the azure Mediterranean waters, that make a trip on board one of our vessels a must on your to do list whilst visiting the Maltese archipelago. Impressive views, a gentle breeze and crystal clear waters is what you shall be treated to on our Exclusive Cruise. 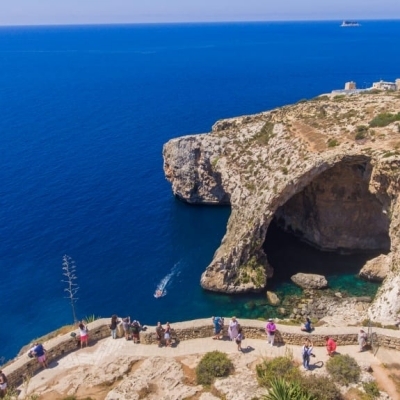 Join us on this unforgettable full day trip which showcases what the Maltese coastline is all about. We depart from Sliema Ferries at 09:30hrs and cruise close to shore catching glimpses of the impressive cliffs and other spectacular views of Malta's untouched beauty and a chance to see the breeding ground of the Blue Rock Thrush (Malta's national bird), to mention but a few of the great scenes you will experience during this trip. 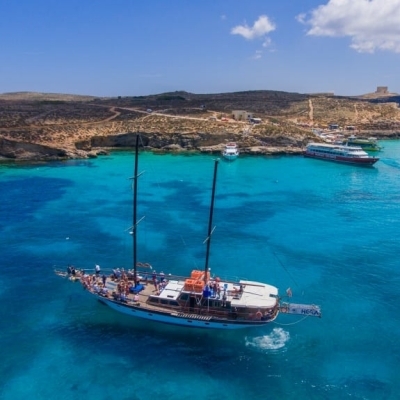 We then head towards the famous Blue Lagoon in Comino where our Gulet will berth 'stern to' in order to allow you easy access to the island. 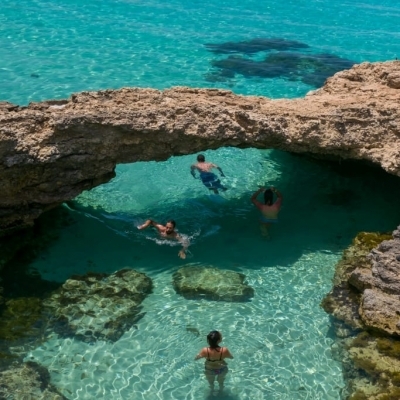 Here you can spend time exploring the island or swimming in the tranquil turquoise waters. On our way back we travel down the urban coast and head back towards Sliema Ferries to arrive at around 18:00hrs. Our Three Bay Cruise departs Sliema ferries at 0930hrs and returns back to Sliema Ferries at approximately 1730hrs. This cruise has three different swim stops. 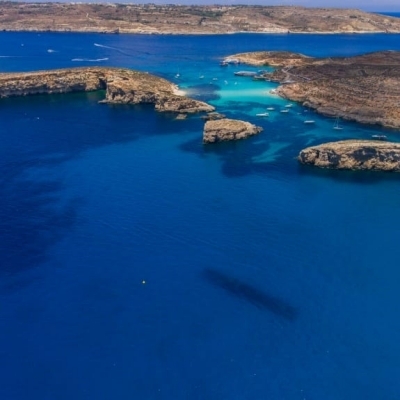 Our first swimming stop will be at the famous Blue Lagoon in Comino. 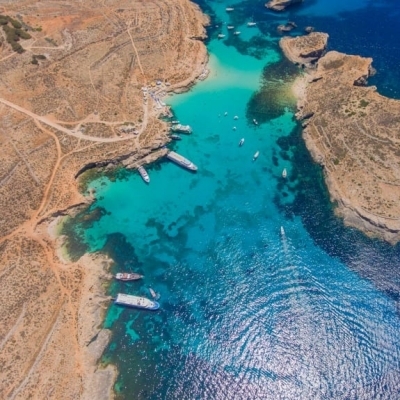 The M/S Hera will berth at our jetty in Comino giving our guests easy access to disembark and explore the island or swim in its crystal clear waters. Our 2nd and 3rd swimming stop will be in two other bays also giving time for a refreshing swim or relaxing on deck. We depart from Sliema Ferries at 18:30hrs and cruise to the Grand Harbour. A short-details commentary of Valletta and the Three Cities connected with the two Great Sieges as well as all the other places of interest including the historical fort, battlements and creeks which can be admired from the sea. We cruise into every creek showing you the closest possible views. Live Maltese folk music on board and Maltese dancing costume show included, while we anchor at Rinella bay. We will return to the Sliema ferries at around 23:00hrs. Join us on board the Hera for the most spectacular way to watch and enjoy the Malta Fireworks Festival 2019! Treat yourself to an amazing night of fire, colour and dancing reflections during this year's festival. We will cruise out for these spectacular shows on the 30th April. As in the previous years we expect a huge success... so book your place on deck aboard on M/S Hera now! Our Santa Marija Comino Direct Cruise departs Sliema ferries at 10:000hrs and returns back to Sliema Ferries at approximately 18:00hrs. 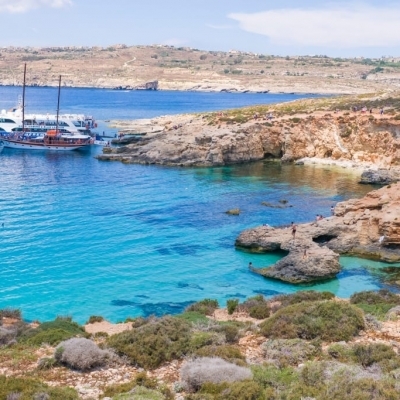 The M/S Hera will berth at our jetty in Comino giving our guests easy access to disembark and explore the island or swim in its crystal clear waters. A detailed commentary of Valletta and the Three Cities connected with the two Great Sieges as well as all the other places of interest including the historical forts, battlements and creeks which can only be admired from the sea. We cruise into every creek showing you the closest possible views. 4, Abate Rigord Street, Ta’ Xbiex, XBX 1127, Malta.